The Late Glacial site Lubrza 10 yielded new archaeological and use-wear data for discussing the development of plant-based technologies long before the occupation of the European Lowlands by Neolithic societies. More than 4000 Federmesser and Swiderian lithic artefacts were collected from the site, which is located on sandy kames adjacent to former water bodies. 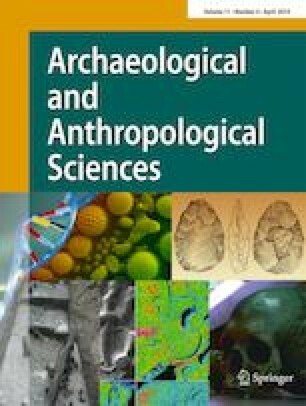 Use-wear analysis showed that abandoned tools were engaged in the activities well recognised as Palaeolithic ones, such as hunting, working hide, bone and other soft and hard materials. Microscopic observations have also produced some of the earliest evidence of processing non-woody plants in the North European Plain. There is a considerable number of artefacts with plant-like polish. Tools were used for whittling, splitting, scraping or stripping plant materials—motions that could have also been made while extracting of fibres and other raw materials necessary for making crafts. Morphological parameters of tools suggest a selection of flint implements, and their distribution shows the locations of processing plants. Results of previously conducted pollen and macro-remains analysis demonstrate the presence of a great variety of plants, including high silica content herbaceous species that covered the nearest vicinity of the site both during the Allerød and the Younger Dryas. This work was supported by the National Science Centre, Poland under grant no. 2011/01/D/HS3/04134.